Debra H. Goldstein is the author of Should Have Played Poker (A Carrie Martin and the Mah Jongg Players Mystery) that just released in April and the book, Maze in Blue. Are you still a sitting judge? No. Although I remained a sitting federal Ad ministrative Law Judge after my first book, Maze in Blue, was published. I decided to step down from the bench and pursue my passion – writing. draw from the cases you have presided over? At this point in my writing, I haven’t felt comfortable drawing from the cases I presided over, but I occasionally use bits and pieces from my past experiences for scenes or steal characteristics from people I have met during my legal career. For example, in my first published story, Legal Magic, two lawyers think a courtroom is empty. Suddenly, they hear the voice of the judge who is to hear the case fill the courtroom like God speaking on the mountain. Looking around, they realize the judge is lying down behind rather than sitting at his bench. This exact scenario happened to me when, as a litigator, I appeared in front of a judge who injured his back, but wanted to continue hearing his docketed cases until the date of his scheduled surgery. Because he couldn’t sit, he placed a cot behind the bench and held court lying down. Eerie as the actual experience was, it was a perfect scene to incorporate into a story. I think that is probably the most unusual thing I’ve heard a judge do, and I agree, it is eerie but funny. Might make a good trilogy! What has been the biggest surprise to you in writing a novel? The biggest surprise is actually hearing the characters’ voices – especially if I start veering from where they think the story should go. Has developing plots and scenes been easier for you because of your experience? For me, plots and scenes grow out of my imagination spurred from chance encounters, overhearing a conversation, reading a news headline or almost anything enhanced by my various life experiences. My legal experience is especially helpful in fleshing out twists that involve courtrooms or issues of law. It makes it possible for me to avoid common fictional legal mistakes and to know odd things that might move a story along. My writing reflects the totality of my life experiences rather than simply my legal career. This becomes clear if one analyzes the character of the protagonist, Carrie Martin. She is a young corporate attorney whose father moved into the Sunshine Village Retirement Home because he has mild dementia. Although what happens to Carrie on the job never happened to me during my first legal job with a major corporation, I pulled upon that experience as the starting point to write about Carrie’s responsibilities, challenges and interaction with co-workers. In the same way, I used my mother-in-law’s reaction to the initial stages of Alzeheimers, research I did when a family member was considering moving into an assisted living facility and memories of my mother’s long term Mah Jongg game to make the story realistic. Your newest book, Should Have Played Poker, tell us where the idea came from. Writers are always told to write what they know. In my case, I started thinking of my relationship with my mother. Unfortunately, it makes for a boring story to say my mother desperately wanted a daughter, loved me unconditionally, and encouraged me in everything I did. Consequently, I decided to write the opposite of what I knew – a story about a woman whose mother abandoned her when she was a child and how that impacted her as she grew into adulthood. This concept opened up doors to the characters who helped raise her, her internal and external emotional ability or inability to relate to others, and her reaction to how her father’s dementia will eventually change their relationship. The problem at this point was that Carrie’s life story was pretty heavy. I needed a counterbalance for the story to be enjoyable for the reader. As I thought about it, I remember the retirement home Mah Jongg players I used in my first published story, Legal Magic, and realized they would be the perfect comic foil for Carrie. Once they came into the picture, the story flowed. Tell us about your main characters in that book and how you chose them. The main character in Should Have Played Poker is Carrie Martin, a twenty-nine-year-old corporate attorney who is precariously balancing her job and visiting her father in the Sunshine Village Retirement Home. After having abandoned her family twenty-six years earlier, her mother returns and leaves her with a sealed envelope and the knowledge she once considered killing Carrie’s father. Before Carrie can discover what is in the envelope or why her mother returned, her mother is murdered at the retirement home where Carrie’s father lives. 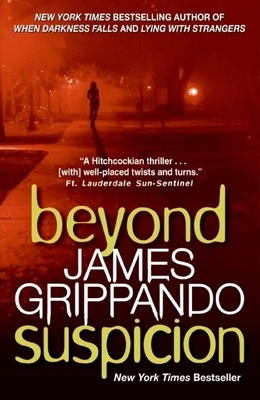 When the detective assigned to her mother’s case, Carrie’s former live-in lover, doesn’t seem to be doing much, Carrie feels compelled to intervene in the investigation. Needing help, she enlists the Sunshine Village Mah Jongg players to help her sleuth. I chose to use the Mah Jongg players because each has a separate personality but together they come together as a family – something that is important to Carrie. What is the one thing you enjoy most about writing? The most fun of writing is creating a story that entertains readers, but while I enjoy the process of seeing a story unfold from my imagination, I also am having a blast interacting with readers and other authors. Of all the questions you’ve asked me, this is the most difficult one to answer. I love to read and read everything I can get my hands on, but that means I have no one favorite author. Recent authors whose books I have enjoyed include Kristen Hannah, Linda Rodriguez, Hank Phillippi Ryan, T.K. Thorne, Janet Evanovich, and Jane Mayer. What’s next for Debra H. Goldstein? For the next few months, I will be traveling and speaking to book clubs, libraries and other groups about Should Have Played Poker. I am in the process of revising a new book, One Taste Too Many, that I hope will find a home in 2017, and I recently signed a contract for a new short story to appear in Alfred Hitchcock Murder Magazine. few weeks typing applications to enter law school in the fall”. If you would like to read the interview visit http://www.southernwritersmagazine.com/subscribe.html and order the July/August 2016 edition. 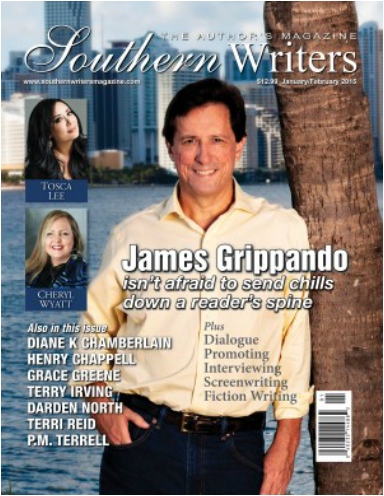 Or email annabelle@southernwritersmag.com and order it. I read your book, Should Have Played Poker and enjoyed it very much as did my husband. Looking forward to your next book. Be sure and visit Debra Goldstein at http://www.debrahgoldstein.com/ she will be delighted to hear from you. If you want a good read, order her books. Welcome, New York Times-bestselling author Susan Elia MacNeal. The author of the Maggie Hope Mystery series. She is the winner of the Barry Award, and her books have been nominated for the Edgar, Macavity, and Dilys Awards. Your newest book in your series is MRS. ROOSEVELT’S CONFIDANTE, which released October 2015. Tell us a little about it. England’s most daring spy, Maggie Hope, travels across the pond to America, where a looming scandal poses a grave threat to the White House and the Allied cause. December 1941, soon after the attack on Pearl Harbor, Winston Churchill arrives in Washington, D.C., along with special agent Maggie Hope. Posing as his typist, she is accompanying the prime minister as he meets with President Roosevelt to negotiate the United States’ entry into World War II. When one of the First Lady’s aides is mysteriously murdered, Maggie is quickly drawn into Mrs. Roosevelt’s inner circle—as ER herself is implicated in the crime. Maggie knows she must keep the investigation quiet, so she employs her unparalleled skills at code breaking and espionage to figure out who would target Mrs. Roosevelt, and why. What Maggie uncovers is a shocking conspiracy that could jeopardize American support for the war and leave the fate of the world hanging dangerously in the balance. Sounds most intriguing. No wonder everyone wants to read it. You received accolades from “O:The Oprah Magazine, where they said, “You’ll be Maggie Hope’s loyal subject, ready to follow her wherever she goes.” Congratulations on that praise. Every author would love to receive praise from that magazine. The Minneapolis Star Tribune also praised your book, as did Booklist who said, “A treat for WWII buffs and mystery lovers alike. And it is that Susan. The Maggie Hope novels have been nominated for the ITW Thriller Award, the Sue Federer Historical Fiction Award, and the Bruce Alexander Historical Fiction Award. This is wonderful to have all this exposure for your books and accolades. You’ve blended meticulous research on the era and psychological insight into Winston Churchill, and the creation of a riveting main character, Maggie Hope, into a spectacularly crafted novel. They are simply wonderful reading. Your debut novel in this series was Mr. Churchill’s Secretary. Tell me about it. The series I think captures the drama of an era of unprecedented challenge—and the greatness that rose to meet it. In this book, set in London, 1940 Winston Churchill has just been sworn in, war rages across the Channel, and the threat of a Blitz looms larger by the day. But none of this deters Maggie Hope. Graduating at the top of her college class, she possesses all the skills of the finest minds in British intelligence, but her gender qualifies her only to be the newest typist at No. 10 Downing Street. Her indefatigable spirit and remarkable gifts for codebreaking, though, rival those of even the highest men in government, and Maggie finds that working for the prime minister affords her a level of clearance she could never have imagined—and opportunities she will not let pass. In troubled, deadly times, with air-raid sirens sending multitudes underground, access to the War Rooms also exposes Maggie to the machinations of a menacing faction determined to do whatever it takes to change the course of history. You have done a superb job on this series. I want to thank you for visiting us today. Please let us know when your next book releases. Don’ want to miss it. Visit Susan at www.susaneliamacneal.com. Let her know how much you are enjoying her series. Joy Ross Davis is of Irish descent and a student of the lore and magic found in the hills of Tennessee. After a twenty-five year career as a college English professor, she traveled to Ireland and worked as a writer and photographer, publishing numerous travel articles and photos for an Irish travel agency. She has been a contributing feature writer for a local newspaper and has published articles in Southern literary magazines. Welcome to Authors Visits Joy, we are delighted to have you. I know you speak at conferences, book club meetings, and events sharing your connection with angels and the stories behind your books. Yes, and so enjoy it. I would love to talk with you about your book Countenance. This was your debut novel. You created a suspenseful yet heartfelt story full of intrigue and unexpected revelations, where magic is made in the kitchen and angels can fall in love. In it your memorable characters inhabit a home that is more than it seems, unwittingly preparing for a final showdown where forces battle for the souls of both those who reside there and the dead who cannot move on to the next realm. The character Nealey Monaghan, who is thirty-eight, life is turned upside-down one night when her sister’s estranged ex-husband kills nearly everyone she loves in one fell swoop. Numb to the world, Nealey is taken in by her charmingly eccentric Aunt Sylvie, cookbook author and proprietress of the Playhouse Inn Bed and Breakfast in the hills of Tennessee. Hoping to help her niece find purpose and meaning in her life again, Sylvie makes Nealey a co-owner and begins teaching her the tricks of the trade…and the secrets of the house. What a wonderfully woven story. No wonder the book has done so well. I read what the Red City Review said about your book. “Countenance is such a comforting and heart-warming tale, and readers will fall in love with the novel’s leading ladies, Nealey and Sylvie, who really are strong and extraordinary women. The love between them is so palpable it all but brings this story to life. 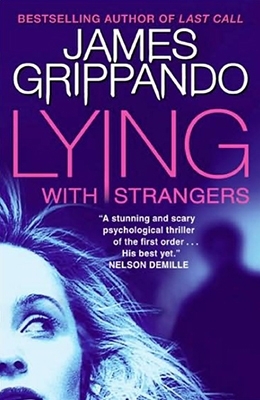 Plenty of other surprising characters populate this novel’s pages as well, some of them being more – or less – than they seem. While ‘Countenance’ is a relatively brief read, it contains a heavy helping of life lessons that will surely leave readers feeling emotionally sated.” This was an excellent review. I was thrilled with their review. Another review, also thrilled me, it was given by Kathleen M Rodgers, author of the Amazon bestselling novel, The Final Salute and Johnnie Come Lately. Your third book in The Firelight Angels Book series just released in November 2015. Tell us about it. Libby Arbuckle has a secret, a deadly secret that could destroy everyone in the small town of Preacher’s Cove, already plagued by a rash of furious storms and mysterious deaths. On assignment to Preacher’s Cove, Hap Murray, a cocky but handsome reporter, meets Libby and is immediately struck by how familiar she seems to him. But when he presses her for information, she tells him only convincing lies. One person in the town, Police Chief Burton Riggs, befriends Hap and urges him to seek out the doll maker, Lucy Arbuckle, Libby’s demented sister and an artistic genius who creates the Firelight Angels, uncanny replicas of children in the Cove. These dolls hold the key to the deadly storms. When Libby finally shares her secret with Hap, she tells him of a living angel, the Angel of Justice, hidden deep in the woods. Their newfound trust in each other turns to love, and they risk their lives to heal Lucy. 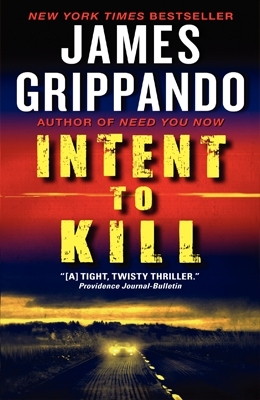 In doing so, they expose a vicious murderer and save an abandoned child. But solving the murders is only the first step in their struggle to free Preacher’s Cove from the clutches of a tyrant named Ike Madison. After an intense battle at the ancient burial site called The Hallows, Lucy is healed, Ike is finally thwarted, and Hap and Libby come away wounded but thoroughly enamored with each other. Armed with a new love and the story of a lifetime, Hap settles into Preacher’s Cove with Libby and only one last secret: a single thread that will unravel an ancient legend. Joy, this is a great series. I know you are excited about it. Looking forward to reading number three. Keep us posted on any new books releasing. Contact Joy and let her know how much you enjoy her books. Walking Through An Old Cemetery? What won’t a writer do for a best seller? 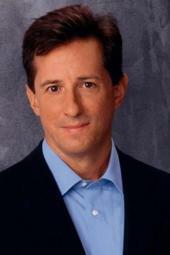 Meet James Grippando, a New York Times Bestselling Author. Who has no problem “unearthing” research for his stories. Tell us a little about that. In Miami’s Coconut Grove, they have an old Bahamian cemetery. Bodies are entombed above ground in crypts. Walking through this old cemetery at midnight is how I came up with the title for my novel, Afraid of the Dark. It was worth the trip. I have no problem visiting a cemetery in the daytime but night…I couldn’t do it. So I take my hat off to you. To welcome you here today we’ve prepared a drink for you called “Magic Potion Punch.” I hope you readers will join us, be sure and make you some of this delicious punch. Ingredients are 2 packages (3 ounces each) lime gelatin, ½ cup sugar, 1 cup boiling water, 3 cups cold water, 1 quart noncarbonated lemon-lime drink, chilled, 1 ½ quarts lemon-lime soda, child and the directions are: Dissolve gelatin and sugar in boiling water; add cold water. Transfer to a punch bowl. Stir in lemon-lime drink and soda. Yield: about 4 quarts. 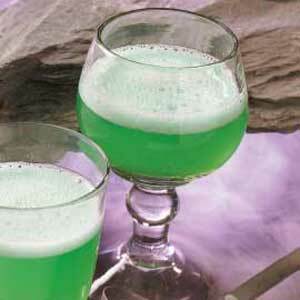 For more information go to http://www.tasteofhome.com/recipes/magic-potion-punch. The internet is every writer’s best friend and worst enemy. I use the internet extensively but it’s also important to go to the places you write about and meet the type of people who will be the family, friends and neighbors of the characters you create. I guess that is one reason your books have such good dialogue, because you do visit the places. Tell me about developing your dialogue. Tell me about James Swyteck, your protagonist. He’s a criminal defense lawyer and has been in 11 of my 21 novels. 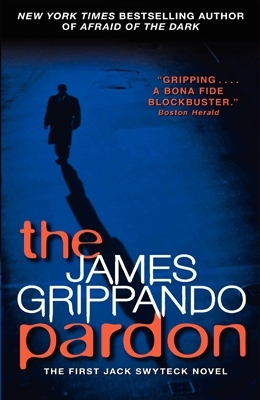 I’ve been hearing his voice in my head since my book The Pardon debuted in 1994. It does become a problem in my stand-alone novels. One trick that works for me is once a week or so start my writing day by reading, at random, one of the earlier chapters I’ve written. It’s a great way to test for consistency in that lead character’s voice. How do you begin your day in writing? I never roll right out of bed and go to the keyboard. I walk the neighborhood. It really does help you realize that the dream you had last night was not that good, and that it’s probably not the seed for the next “Gone with the Wind”. I start my writing day by self-editing whatever I wrote the previous day. It helps clean up yesterday’s mistakes, but it also gives a running start into the next chapter. When I first started writing, I’d get excited about a plot idea, pick up the phone and immediately tell my agent. My thoughts were all over the place. Artie would listen and say, “Type up three pages and send it to me.” I’d bang out three pages and fire it off. Artie would call me right back: “Can you get it to a page?” I’d grumble, but I’d cut it down to a page and send it to him. Artie would call again: “You know, what I really want is just a paragraph.” I’d protest loudly and tell him I couldn’t possibly get it down to a paragraph. I did, of course, and I would send it off to New York. I’d get one more call from Artie: “All I want is one sentence,” he’d say, “and I want you to start that sentence with the words ‘This is the story of …” I’d go back to my computer, and I’d write that one sentence. It was then that I realized I was ready to write my story. It’s still step one in development of a book plot. Step two is the outline. I don’t mean Roman numerals followed by points A, B, C etc. Write a condensed version of the book that is anywhere from 20 to 80 pages in length. I never outline beyond the point of conflict in the story. The resolution always comes out in the writing. I find that if I am writing to a specific ending, the ending is contrived. It’s a bit of a leap of faith to write 250 pages and not know how the story is going to end. Some of the greatest plot twists I’ve come up were developed this way. 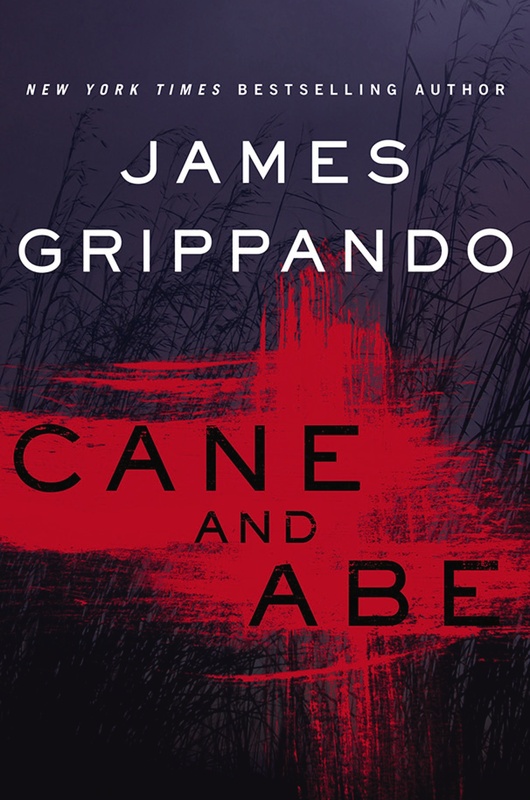 Where does the story for this new book, Cane and Abe come from? I’ve written marital dramas before (Beyond Suspicion and Lying with Strangers ) and I was feeling the urge to write one with a great twist. Over the past couple of years, I watched my brother-in-law rebuild his life after my younger sister died in a car accident on her way home from the grocery store in Atlanta. The struggle faced by my lead character, Abe, is what I imagined it would be like to lose your true love and then remarry. Of course, I’m not writing romance, and when Abe’s new wife goes missing, suspicion mounts around him. That’s when the suspense kicks in, and the pages start turning. It was especially fun to draw this story against the dark back drop of Florida’s sugar cane industry. As a young lawyer, I was heavily involved in the lawsuits brought by the men who harvested sugar cane by hand, wielding their razor-sharp machetes against twelve-foot stalks all day long in the blazing Florida sun. For my readers, I hope that they will pardon the pun that is the title (Cane and Abe), that the serial killer known as “Cutter” will send chills down their spine, and that the ending will be one that they never saw coming. You’ve got a busy year in 2015. Tell me about it. You were just interviewed in Southern Writers Magazine, the January/February issue and you were the cover. We’ve had wonderful comments on your interview. Thank you. 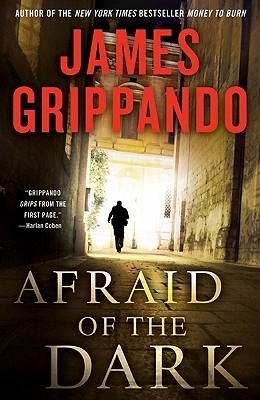 For your readers who don’t know, according to U. S. News and World Report you have been at the top of the legal-thriller ladder for some time. Congratulations. I really appreciate you being with us today James. I am a fan. And I anxiously await your new book in June. Be sure and send us the cover. I hope you will drop back by and share it with us. Be sure and check out James’s books and his website. He loves to hear from his readers, and you can ask questions.